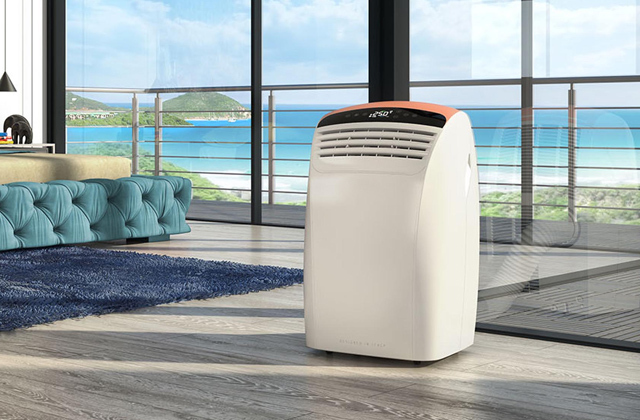 The advantage of this heater over other models is energy-efficiency; the unit shuts off immediately if it detects a temperature drop. The controls take some time to get used to. 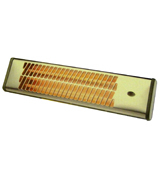 A modern, sleek heating device that can be either mounted on the wall or put on the floor. Either way, the Purus PUR1500PH will be safe to use owing to its waterproof body and child lock function. If you want a portable bathroom heater that you can place as you see fit, this is one of the best models available. 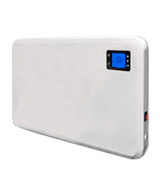 Double isolation, flame retardant materials, and overheat protection make this the safest heater out there, especially if you plan on using it in a bathroom. The device turns off if even the tiniest speck of dust gets into the vent. This is the best choice for those concerned about safety. 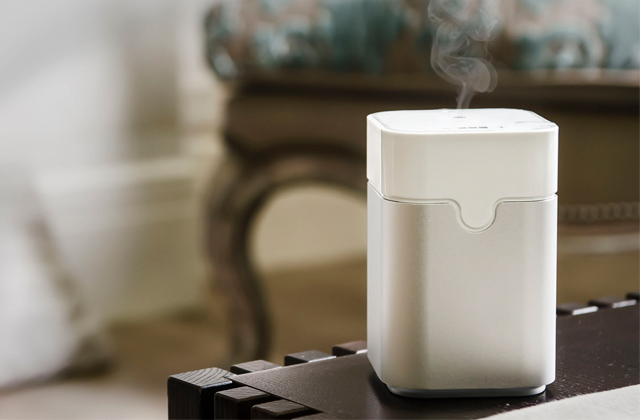 The device has pretty much every design feature to keep it working well and prevent overheating. 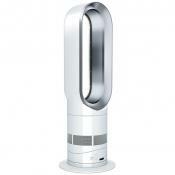 It's also quite efficient and powerful, changing the energy output automatically after warming the room. If you're not averse to paying more, we wholeheartedly recommend this model. Comes with all the necessary mounting hardware so you can place it on the wall immediately. The pull cord is kind of flimsy. Easy to control and pretty efficient at heating, this model is a good fit for bathrooms with little space. If portability isn't a requirement for you, you can save money and get a good result out of the Dimplex FX20V. The fan is practically soundless so you can keep it running for a while without getting annoyed by any buzzing. Lacks an option to choose the heating mode. 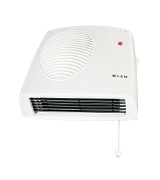 If you want a compact heater than can heat up a lot of space, this silent model from Winter-warm is a great choice. It's budget-friendly, can be turned on via a simple pull cord, and doesn't take up much space at all. This is a great choice for wall-mounting in your bathroom. The area under the heater warms up nearly instantly and the device doesn't dry out the air. The mounting system is needlessly complicated. 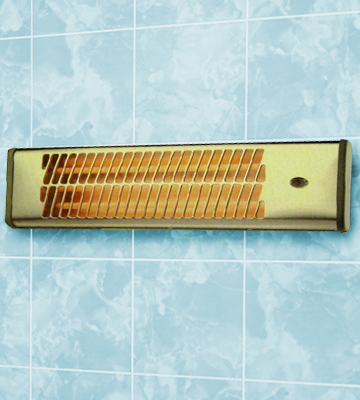 A retro-styled heater that's absolutely noiseless and can be angled any way you want to heat specific areas. You can warm up the floor of your bathroom pretty quickly without drying out the air in the room at all. It is, however, quite a chore to install and requires some skill. But the money you save on the electricity bill is worth the effort. Worried about how safe a heater would be to use in a bathroom where water splashes frequently and the humidity is high? We’re here to ease your mind with the Purus PUR1500PH, an IP24 electric radiator that is waterproof and insulated against all humidity. 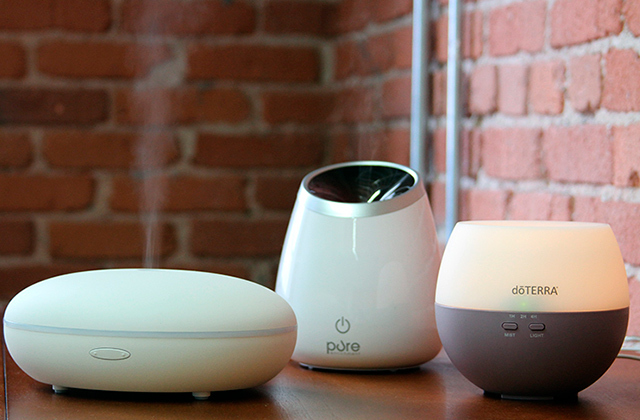 Initially, you’ll likely be surprised by how versatile the Purus heater is. The device can be mounted on a wall or left standing on the floor, though you’ll have to attach the feet to it first. Furthermore, it has 3 work modes, differing in energy consumption and the type of operation. The first is comfort mode, in which you pick whatever temperature suits you. The second is for those with finances on the mind, the economy mode. 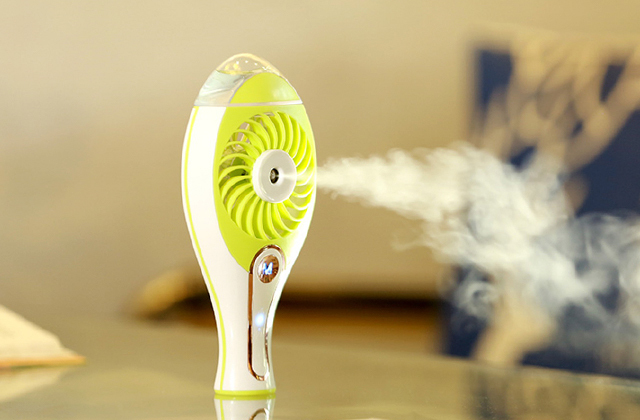 You can shave off a third of your electricity bill by using this, though it does make the heater less effective. And last but not least, the frost-free mode. Want to cut down on energy waste and don’t need your bathroom to turn into a sauna just to keep warm? 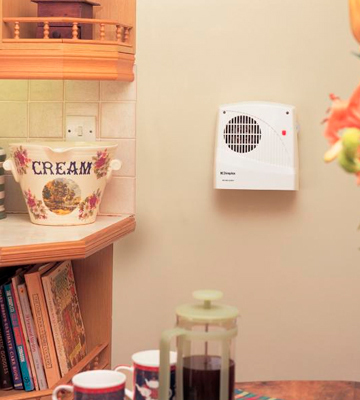 This setting will keep the room warm at the lowest temperature the heater can offer. You’ll still get the comfort of a heating appliance without it sucking up several kilowatts of energy. The moderate power consumption of 1500 W means that the panel won’t get too hot while still warming up the room, though it will take some time. With all of this praise, you might think the Purus PUR400PH-2 is perfect but our watchful eyes have spotted a few flaws. Firstly, it’s really not that compact. When you mount it on a wall it’s fine but leaving it standing on the floor is just asking to trip over the power cord or the device itself. Besides, it’s intended for heating rooms around 6 square metres. That kind of quarters won’t have too much space for an appliance on the floor. So we definitely advise mounting the Purus PUR1500PH. While we’ve already mentioned the waterproof design, the Purus PUR1500PH has a bit more to offer in terms of safety and convenience features. The device has a child lock function to keep your kids from playing with the thermostat and accidentally changing the temperature from pleasant to near-freezing. With a range of 5-50°C, you definitely don’t want kids messing with the heat level and the function can’t be disengaged by accident. Another potentially useful function is the automatic open window detection. When the device feels a swift drop in room temperature of 5°C or more it shuts off to conserve energy. You’ll also be glad to hear - or, rather, not hear - the Purus PUR1500PH at work as the heater is nearly silent. Being a bathroom panel heater, it’s perfect for those that want a relaxing bath that won’t be interrupted by whirring fans. For a heating appliance of this size, the Purus is pretty much noiseless. 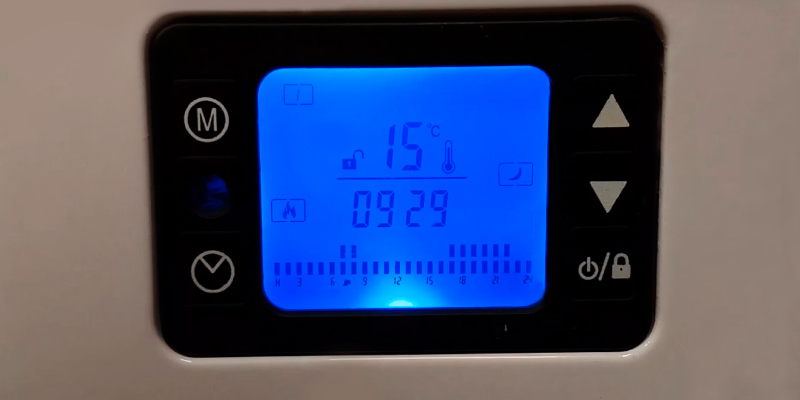 In summation, the PUR1500PH is both modern-looking and high-tech, giving you full control over the room temperature via a convenient digital LED display. With a multitude of settings and modes available, your bathroom will always be comfortably warm and pleasant to be in. 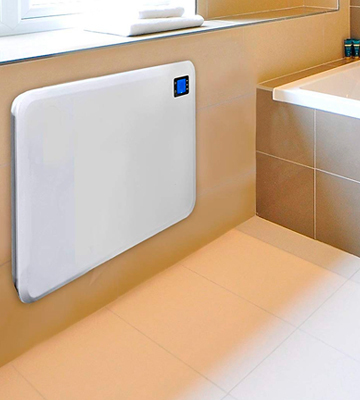 A heater can be an invaluable purchase if your bathroom is drafty and you’re tired of stepping on cold tiles with your bare feet. However, many models, especially floor-standing ones, are bulky and easy to trip over, while wall-mounted ones tend to take half the wall. That’s exactly why we recommend the Glen GDF20 which has neither of these problems. 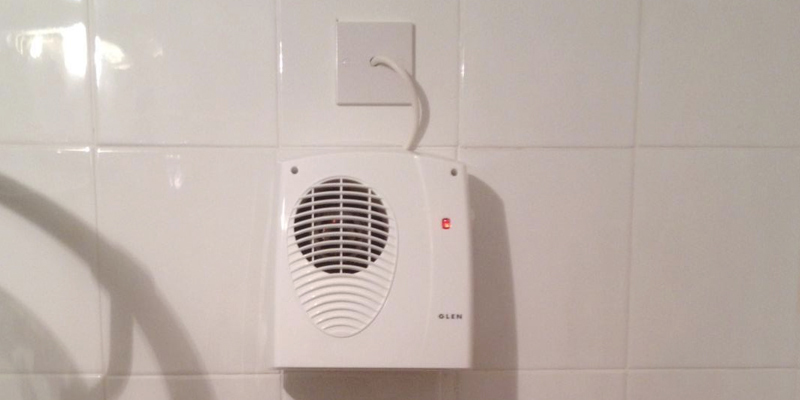 The Glen GDF20 is your basic bathroom fan heater that stands out thanks to smart design decisions. The sleek appliance is just 22.9 x 11.4 x 24.2 cm and has a visual indicator to tell you when it’s on. 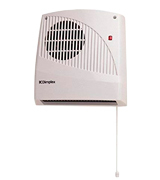 Just pull the cord on the side of the heater and watch the indicator light up as the device starts blowing hot air downwards. Oh yes, the Glen GDF20 is a downflow model, meaning that it's more efficient than updraft ones. It warms not just the upper tiers of your bathroom but the whole space, including the floor. No more wearing fur slippers just to walk to the shower! We do have mixed feelings about the mounting restrictions on this model as it has to be at least 1.8 metres up and, in fact, it’s recommended to place it even higher. This means that you must have a pretty high ceiling and be tall enough to pull the cord comfortably. Shorter people won’t be too happy having to jump just to turn on the heater. It does, however, mean that the device is out of view and unnoticeable when it’s off, just as a good heating appliance should be. The Glen GDF20 features a built-in thermostat that you can tweak to choose the desired temperature. Regardless of how high your desired level will be, the heater will never go above 2 KW output. The limit is set to prevent energy waste, keeping your electricity bill at a reasonable level. Moreover, when you’re first installing the appliance, you can turn a switch that changes the maximum power consumption. Choose between 1 KW and 2 KW depending on how big your bathroom is and how much you’re willing to spend on your electricity bill. Thanks to this, people with smaller homes get the benefit of a reduced power bill without compromising the quality of heating. Oh, and don’t worry about missing the wattage option when you install the Glen GDF20 as the process takes quite a while. It’s one of the few flaws in an otherwise great product as the instruction manual is complicated and won’t be of much help. You should also know that the heater won’t work if dust gets in the device and we’re not talking about a month-old layer, even a speck is enough to cause a safety shutoff. So you’ll have to clean your bathroom frequently, though that might not be a downside. Nobody wants a grimy bathtub or shower after all. 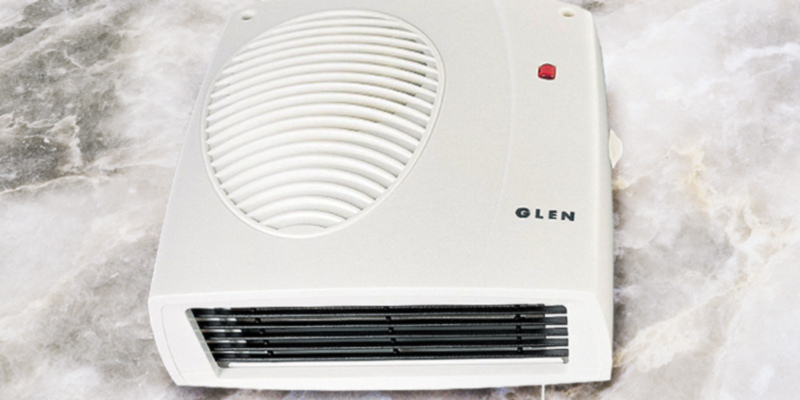 That said, the Glen GDF20 is one of the best electric bathroom heaters thanks to its efficiency and features such as a double insulated case and flame retardant nylon inside it. You can use it in rooms with high humidity without worrying about safety, making it a perfect choice for your bathroom. 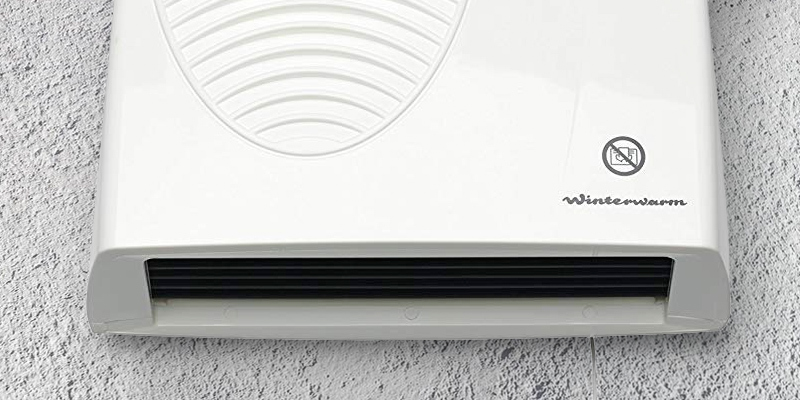 If you’d prefer your heater to be wall-mounted so that you don’t trip over it or step on it, check out the Dimplex fan heater line-up and, in particular, the Dimplex FX20V. The manufacturer offers a wide range of powerful yet undemanding products that will warm up any room you hang them in. 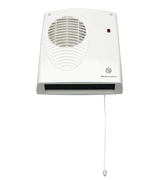 The model we’re looking at is one of the most efficient and safest heaters available on the market. The device can be hung on any wall. It operates with just 2kw of power, working quietly and saving money on your utility bills. You could run it in your bedroom and it wouldn’t disturb your sleep at all. So with this product, you can stay warm even at night, no need to pile on extra blankets or sleep wearing extra-thick pyjamas. 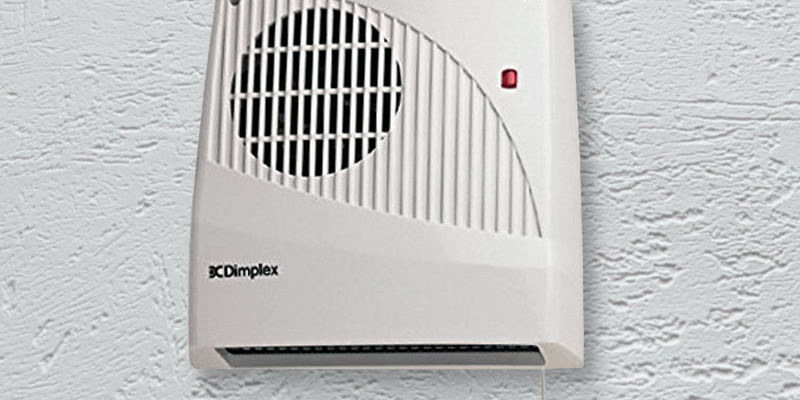 To launch the heater, you just need to pull on the cord and the Dimplex FX20V will immediately start putting out hot air, saturating the room. However, this model is programmed in an unusual way - it will run for 15 minutes and then automatically shut down. If you want a longer heating cycle, you will have to pull the power cord again and get another 15 minutes of operation. This guarantees that the heater won’t be left running for the whole day if you forget to turn it off. However, it also means that you’ll need to restart it if you want to keep the heat going for several hours or more. The built-in thermostat of the Dimplex FX20V checks room temperature frequently and, when a suitable level is reached, cuts energy consumption to 1kw. That way the device keeps warming up the room while using much less power to save you money. This efficiency is just another sign of a quality product. Halving power consumption without losing out on heat is a surefire way to appease a user who wants a cost-effective product. 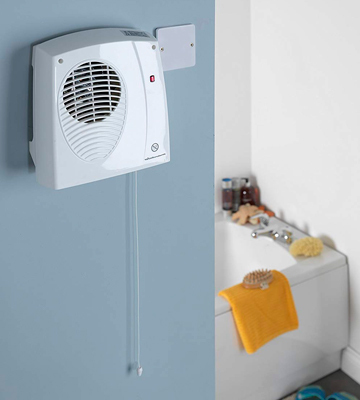 As the machine requires only a cord pull to start, it is actually a perfect bathroom fan heater because you can launch the machine even with wet hands with no danger of being shocked or damaging the equipment. This is the best choice if you want to keep your bathroom warm so you don’t start freezing when you get out of a bath or shower. 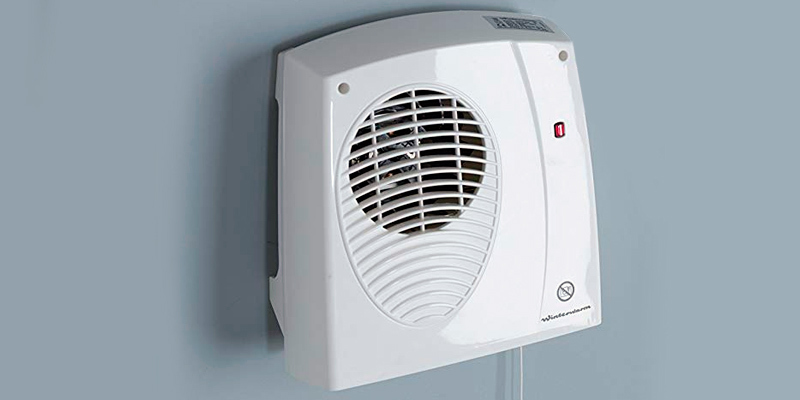 A wall-mounted heater saves space, works just as well as its horizontal or vertical counterparts. It is not portable and, if you want a model that you can carry from room to room to keep the whole flat warm, this is not an ideal pick. However, it’s great for keeping a single room, be it a bedroom or bathroom, cosy and warm. And, if you want to have a pleasant bath with your new heater keeping you warm, check out some bathroom TVs to maximise your bathing enjoyment. Sometimes it’s best not to mess with a good thing and that’s certainly the case when it comes to the classic-styled heaters. Sure, the white square-ish designs have been used for decades and thus might seem outdated. But, on the other hand, they have been used for decades with no signs of dropping off or being replaced completely. Instead, reliable and classic appliances such as the Winter-warm WWDF20 remain on top of the so-called food chain and here’s why. First up, although the Winter-warm WWDF20 is a fan heater, it’s made to be completely unintrusive. 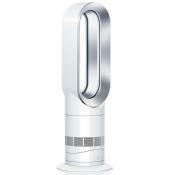 The fan is constructed in a way that renders it practically noiseless. Sure, you could probably lean your ear to the appliance and hear a mild whirring… But you’d burn your ear sooner than you could realistically make out the sound. Speaking of which, let’s talk about safety. Now, obviously, we hope you don’t take that ear comment to heart and don’t try putting any part of your body up against the heater. However, there is a bit of protection involved as the device will shut down automatically if it starts to overheat so those who tend to be forgetful won’t have to worry about leaving the Winter-warm WWDF20 running too long. As for using the Winter-warm WWDF20, you shouldn’t have any issues. All you have to do to launch the device is pull the cord, which means you could turn it on and off while lying in your bath. That is, of course, if you decide to mount it close enough to the tub. An indicator will light up once the heater is operational to show that everything is running smoothly. From there on you only have to adjust the thermostat whenever you feel like the temperature isn’t high enough or, conversely, a tad too high for your liking. But this simplicity of use is a double-edged sword as the Winter-warm WWDF20, sadly, lacks a heating level choice. This means the appliance always runs at 2000 Watts, not exactly efficient for your power bill. Still, that also guarantees that your bathroom will be toasty even if it’s a bit larger than usual. The heater will be enough for about 25 square metres, so you could even keep some of the adjacent space warm as well. All things considered, the Winter-warm WWDF20 is a bit of a basic model but it’s also an affordable and effective one. 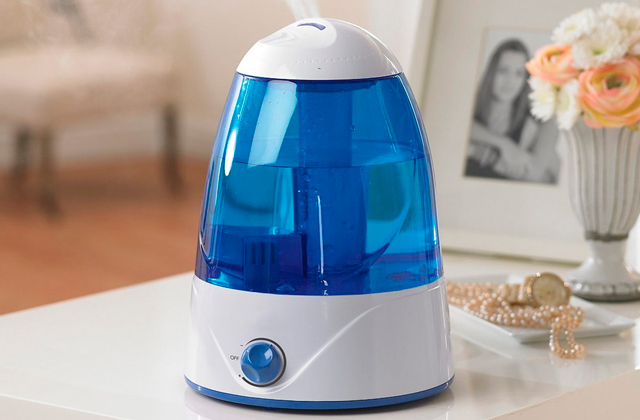 It heats up quick, works practically silently, and can be turned on or off without getting out of a bath. If practicality and price are key for you then the Winter-warm WWDF20 is a real bargain. We all know the phrase “seeing is believing” and some research has already been done to prove that looking at a heat source, be it a fireplace or a campfire, makes people feel warmer. This makes a strong case for the Comfort Heatmaster IRH1500, equipped with bright infrared lamps. Their orange glow gives the room a cosy atmosphere while the lamps emit a substantial amount of heat. You can choose between an output of 500 W, 1000 W, and 1500 W depending on how large the space you’re heating is and how fast you need to warm it up. We recommend using the medium setting for an average bathroom and the highest one if you want to keep the adjacent rooms heated as well. Apparently, the Heatmaster IRH1500 is actually quite efficient and even the 1000 W mode won’t add more than a few pennies to your electricity bill. You’ll always know that the Comfort Heatmaster IRH1500 is on thanks to an indicator showing you the operation status, even before the lamps warm up and bathe you in their infrared glow. The device can be turned on with a simple pull cord, which we’d usually find quite convenient. However, this one seems to be just a bit flimsy and if you turn the heater on and off frequently the cord might not last that long. However, replacement ones are available, which takes the sting off a bit. But we still urge you to be gentle when using the cord to keep the Comfort Heatmaster IRH1500 working for a long time. While the Comfort Heatmaster IRH1500 may have a classic design, it’s also a modern model designed for convenience. For example, you can adjust the angle of the heater as much as you want so whether you’re taking a bath or hopping out of the shower, the warmth will always be directed at you. Just make sure to choose a good initial position for the device, following the restrictions in the manual. It’s recommended to leave a gap of at least 40 cm between the Comfort Heatmaster IRH1500 and the floor and ceiling, so you should be putting it close to the centre of the bathroom wall. It’s pretty compact at 16.1 x 13.5 x 56.1 cm, though, and you should be able to find a post for it easily. What may not come as easy, however, is the installation process. We have noted numerous complaints about how tough it was to mount the Comfort Heatmaster IRH1500. Some have cited troubles with fitting screws into the bracket, while others have said that the frame being connected to the mounting bracket is a nuisance when you’re trying to mount the device. Overall, it seems like this is the main sticking point for the Comfort Heatmaster IRH1500 and, if you’re not averse to spending some time on the installation, it shouldn’t be too big of a deal. While you may lose a couple of minutes, you’ll be saving money given the price of this model. So if you want a silent and efficient infrared bathroom heater, the Comfort Heatmaster IRH1500 is one of the better options to opt for. What Is a Bathroom Heater? While winter is coming to an end, the chill might still keep hanging in the air for quite a long while, making it difficult to walk out of the hot shower in the mornings. However, you can make your life a bit easier by setting a small bathroom heater. 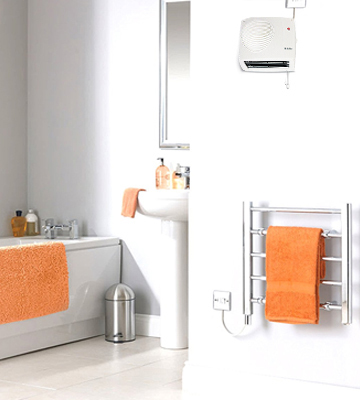 A bathroom heater is a simple appliance that can maintain a comfortable temperature while keeping cold drafts at bay. 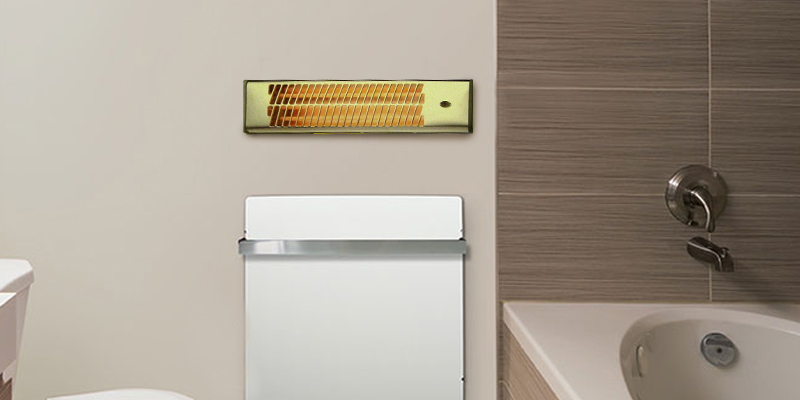 What differs bathroom heaters from residential heaters is that the former ones are allowed to be used in places with high humidity levels due to their water-resistant design. In all other respects, they look and work in the same way. For this review, we've picked some of the best heaters that you can use in your bathroom to keep the room warm and prolong the enjoyment of your bathing experience. Read and compare their advantages to get the one that will totally meet your demands. 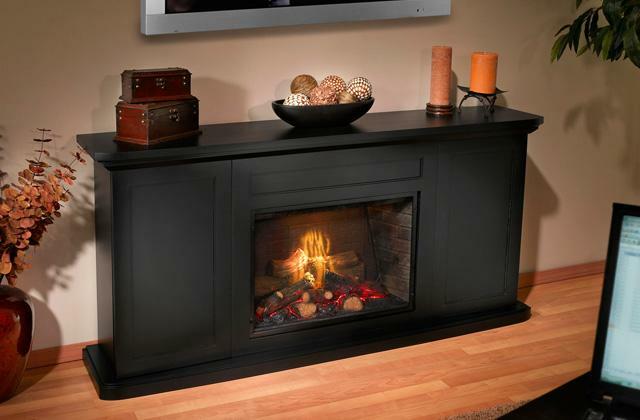 You can also add some heat to your living room by installing an electric fireplace. 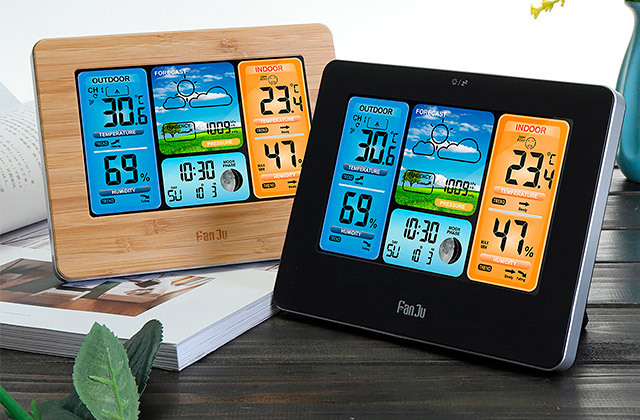 These classy-looking devices will not only keep you warm but also embellish your place bringing functionality and style to its decor. And if you'd like to maintain your house warm while keeping electricity bills sensible, you should definitely look towards buying a thermostat. 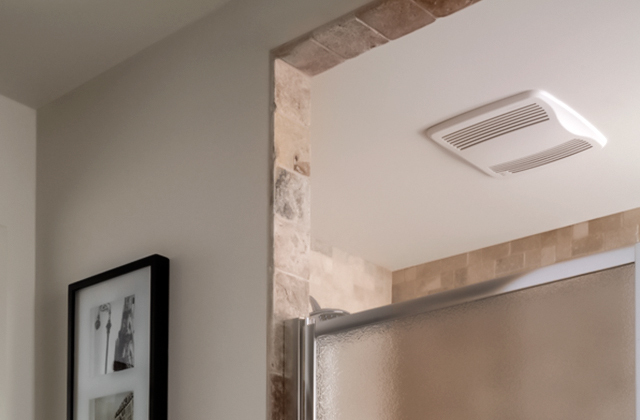 When selecting a bathroom heater, you'll need to choose between two types: those that use convention technology and those that come with fans. However, let's not dive into the technical details and just say that your choice will depend on what type of heat or warmth you prefer. 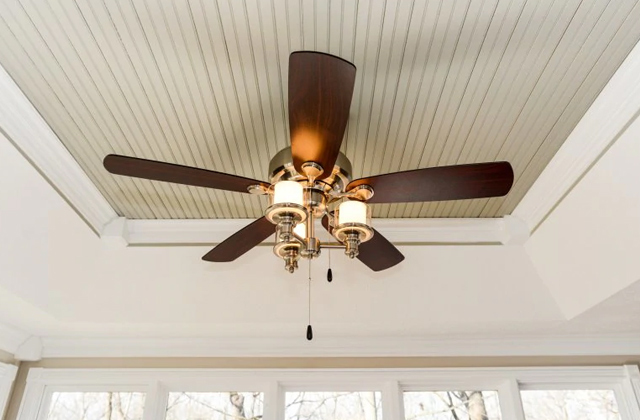 Fan (or radiant) heaters are best for concentrated warmth aimed at a single spot while convection models are used primarily for filling rooms with sustained heat. 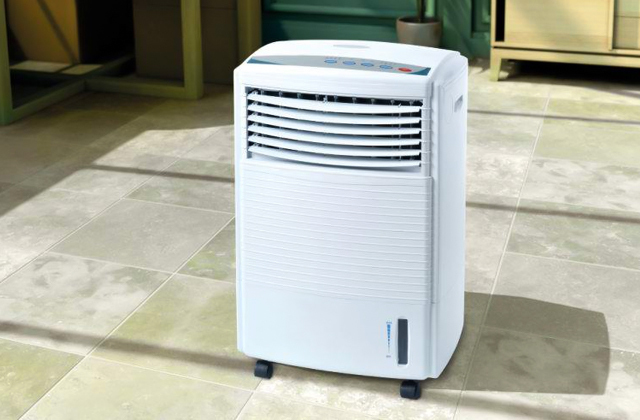 Thus, fans will work better if what you want is to keep your bathroom warm only for a short period of time while soaking in a bath, for example, while convection models will suit those who'd like to maintain the warmth longer. Most people think of heating devices as of these small boxes that you put on the floor and then try hard to not trip over. However, many models can actually be placed on a wall or even mounted on the ceiling. This allows you to free up some space as well as makes the device less of an eyesore, and, if you prefer bathroom ceiling heaters, also helps distribute the airflow more evenly around the room. Of course, a wall-mounted model is more difficult to service and clean but the convenience might be just worth it. With this parameter, you have to take into account just how spacious your bathroom is. If you have a tiny room with a shower and a sink, you don’t really need a heater that can cover an area equal to a football field. However, a bigger room requires a more powerful appliance. Plus, don’t forget about the possibility of warm air leaking out through windows, vents, and doors. Account for that and make sure that your heater's maximum coverage area is a bit larger than your bathroom. It’s pretty self-explanatory: the more powerful your heater is, the faster it works. If you have an average-sized bathroom, you need a mid-range power capacity, anything around a 1000 W is acceptable. Of course, a weaker device can heat this space as well but it’s going to take longer and, in the end, cost more. 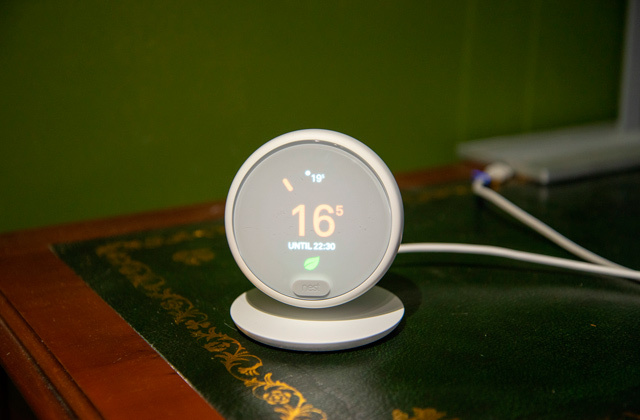 This may seem like a no-brainer: the more temperature settings you have the better, right? Well, in reality, you’re likely to use only a couple of them, with the rest only gouging the price. We recommend getting a model with a thermostat that has a reasonable temperature range. You won’t have any use for 110°F unless you want your bathroom to feel like a desert. Conversely, anything below 35°F is just not practical. A range of 35-85°F will be more than enough. Any electrical appliance should be safe to use but that goes double for heaters as a bit of faulty wiring can become a serious fire hazard in a device of this kind. Whether it’s an overheat protection mode or an automatic shutoff or even a special waterproof casing, any feature of this kind is a bonus and should be weighed as you consider the purchase. Last but not least, make sure that your floor-standing heating device isn’t too big so you won’t trip on it or, if it’s a bathroom wall heater, that it doesn’t take up half the room. Don’t be fooled into thinking that bigger means better, even a smaller model can work efficiently and provide warmth to a spacious room. So you’re laying back, enjoying the warmth coming from your space heater and loving life. But have you wondered when that luxury became available to people? Surely, a convenience as basic as a warm home should have emerged a while ago. Well, let’s take a little dip into the history of heating. The standard of living in Ancient Greece might not have been too swanky but scientists have discovered central hearths and, upon further study, dated them around 2500 B.C. They are considered to be one of the first forms of home heating, succeeded by basic ovens in Turkey in 1300 B.C. Of course, these appliances bear little resemblance to the modern systems though they were relatively efficient, especially considering how long ago they appeared. Fireplaces began to pop up in the more well-off household around 800 A.D., spreading steadily all over the world. By the time the 13th century rolled around, castles and the homes of the rich all had fireplaces with crude chimneys built. They stopped being a luxury and turned into a mundane convenience, though the poor and the peasants certainly had a different view, still relying on the most basic means of keeping warm. Most of them had to huddle in front of brick stoves, though the old models were so large that you could probably hold a family gathering around them. Of course, we are more familiar with heating homes by using air, whether via your AC unit or a fan heater or some other apparatus. 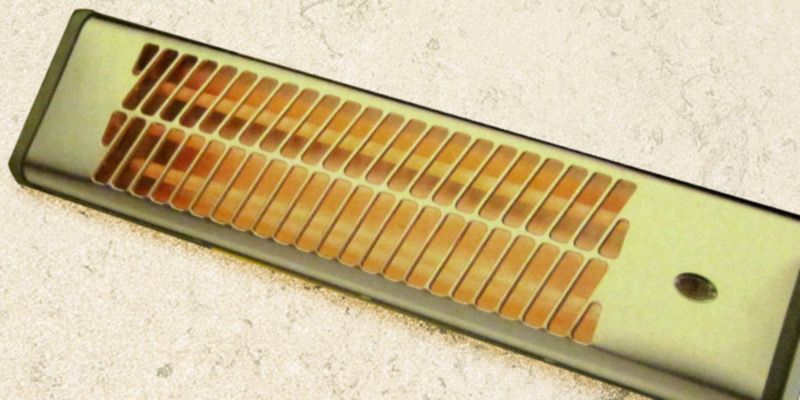 This method was first recorded around 200 A.D. but the evidence is inconclusive, especially as the system seems to show little progress between that date and the later reappearance of the air-heating devices. Solid records are available from the eleventh century when a European city hall used furnaces emitting heat into the air to stay warm. They connected each furnace to a chamber using ducts with covers so the flow of heat was easy to regulate. Over the next few centuries, the air-heating systems persisted and even achieved some progress, though it was stalled by stove-makers trying to keep their profits high and expenses low. In fact, proper advancements consisted mostly of recycling cool air or finding new ways to improve the funnels that guided the heat into rooms. Eventually, water-heating took hold, further impeding the progress in this industry. While fans appeared and space heaters were invented eventually, one can’t help but wonder how much faster we would have had the luxury of this personal heating if progress wasn’t halted by unfortunate turns of events. Nowadays, of course, we have convection and radiate heaters, circulating air and warming our homes in addition to the basic heating systems. However, even with all this convenience on hand, many still find that the best way to stay warm is to cuddle with someone you love, be it a spouse or a pet. 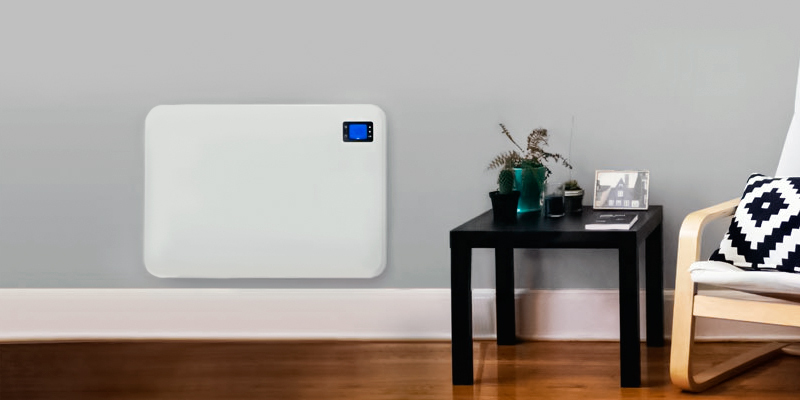 We hope our heater review helps you find the best device to keep your bathroom cosy and that you’ll always have someone helping you get warm in the cold winter days! Q: Let’s say I’ve accidentally splashed some water on my heating device, what should I do? Is it completely ruined or will it be fine? Perhaps my model has waterproofing? A: First, it is of the utmost importance that you turn the appliance off as soon as possible. Shut the power off and see if there’s any smoke coming out of the heater or try to hear whether there are any unusual noises coming from the device. Then, if you have a portable model, pick it up, flip it with the grill side down and see if you can get rid of the water that might have gotten inside. After any moisture leaks out, place the device in a dry place and leave it off for a day or two. If your appliance is wall- or ceiling-mounted, you can simply wait or contact a specialist to check for moisture-induced damage. Either way, when you next start the device, stop and make sure that it’s running properly and isn’t reacting to the water damage in any hazardous ways. Leaving a broken heater on is a fire hazard and even slight water leaks should be taken seriously. Always remember the rules of fire safety. Q: Is there any way to push the maximum temperature of my heater beyond the factory-set limit? I want to get the room even warmer and the current heating level is simply not enough. A: We strongly advise against trying to fiddle with the tech, especially one that’s as intricate and potentially dangerous as a space heater. Sure, you might get a couple of extra degrees after modifying some parts of the device but are they worth the risk of fire? Breaking even one component could lead to serious damage to the appliance and, as a result, to your home. Unless your model has some “Boost” setting that maximises the temperature above the standard level, you get only that level that's specified on the box. Q: Could I potentially run this all day long? I want to keep the room warm so I won’t have to wait before going to take a shower. A: It’s certainly possible but that would eat up a lot of power and put considerable strain on the device. If you have a model that’s powerful enough, it would simply be more efficient to run it a couple of minutes before you go run a bath. That way the air will be warmed a bit and you won’t be faced with an insanely high electricity bill. Plus, running heating appliances for too long tends to dry out the air, which could damage your skin, especially after a hot shower. All in all, we definitely recommend turning the heater on only when necessary. Q: Where should I place my floor-model heater for maximum efficiency? Can I just tuck it away into a corner? A: If you want the device to spread the heat around the entire room, you need to place it closer to the wall. However, we advise against tucking it into the corner as this can pose a fire hazard if you run the device for a while. And, of course, don’t just place it in the middle of the bathroom as tripping on it wouldn’t be pleasant, especially if you damage the appliance in the process. An optimal spot is somewhere at the back of the room without getting too close to the wall, especially if you have little space to work with. 1. Portable Heaters, Department of Energy. 2. Propane Heater Safety - Information That Could Save Your Life! Air&Water. 3. How your heater can kill you, Health24. April 1, 2015. 4. 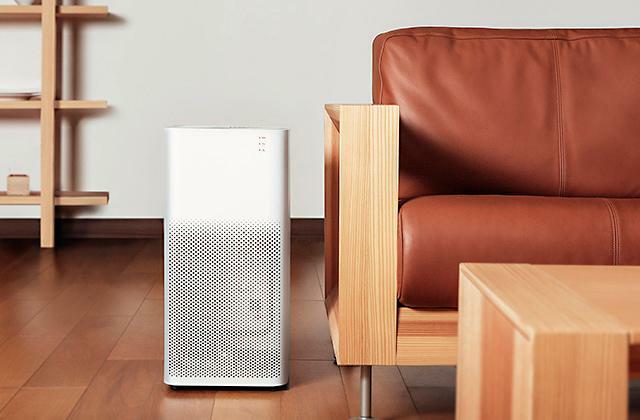 Laurent Belsie Electric heater: Five safety tips for when you turn it on, CSMonitor. December 15, 2010. 5. Jeff Rossen and Anneke Foster How to use a space heater safely, TODAY. December 2, 2017. 6. Lindsay Wilcox Tips on Buying a Space Heater, Overstock. 7. Chris Barnes Home heating guide, Choice. December 20, 2017.